The first Wagner recording from Decca that gives us a multi-channel rival to Wagner: Tannhäuser - Janowski albeit using the Paris version of the score here. The cast is as stellar as one could wish for and do not for moment disappoint and Solti&apos;s conducting is not the hell-for-leather abandonment for which it is sometimes mis-characterised either. In the overture and Venusberg music, the Vienna forces produce a gorgeous timbre that uses their unique musical instrumental heritage to full advantage; the voluptuousness of the playing is never in question & nor is the discipline - there is not a ragged entry to be heard. But that glory is as to nothing as to Christa Ludwig&apos;s extraordinary outpouring of velvet as Venus. By her side, René Kollo sounds a little gruff (and quite frankly, anyone would with beauty from Ludwig here) but that&apos;s a relative judgement and not at all reflective of his overall portrayal of Tannhäuser, which is as beautifully heady as one could wish for throughout the opera. A distinctive difference between Solti and Janowski is that Janowski uses a soprano for the Shepherd Boy&apos;s role whereas Solti opts for a succession of individuals from the Wiener Sängerknaben, which is more in keeping with the literal interpretation of the score and has a remarkable timbre. The off-stage chorus is placed in a variety of positions and the distribution of the off-stage bands is well chosen in the multi-channel presentation. The Minnesänger are well matched, with Victor Braun&apos;s Wolfram in particular engaging well with Hans Sotin&apos;s Hermann; the finale to Act I is very atmospheric with the Viennese horn sound resounding triumphantly. With a fast (but not breathless) opening to Act II, Solti really "lifts" the mood in way that slightly eludes Janowski and Helga Dernesch is in absolutely radient voice as Elizabeth. Hans Sotin is magisterial in his banishing Tannhäuser to Rome to seek his redemption as elsewhere. Again, Solti opts for the Wiener Sängerknaben as his younger pilgrims, which lends a distinctive timbre to the score that is eschewed by Janowski in Berlin. Particularly impressive, from musicians and engineers alike, is the gradual crescendo at the start of Act III, where the spatial positioning of the off-stage pilgrims hands over seamlessly to the on-stage pilgrims and back again. Similar stage & musical management cap the finale. For all the many lamentations about (Wagnerian) singers today not being able to match those of (insert year here), most comparisons are well balanced especially when due allowance is made for the fact that Janowski&apos;s recording emanates from one concert performance (presumably with a bit of patching) rather the more luxurious treatment afforded to Solti. It&apos;s hard to compare performances directly for this reason but perhaps more importantly, the choice of different versions means that there is material not covered by the competition. 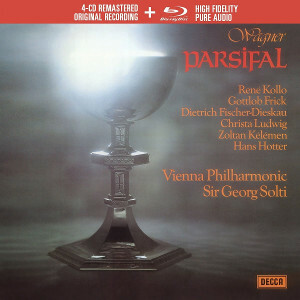 Where the music is common to both, it&apos;s fair to say that Solti is more urgent than Janowski but Solti never presses the pulse so much that the music is harried. The occasional extra excitement that Solti can bring as result needs to be offset against the extra clarity that Janowski brings (and the engineering team from PentaTone). Some will prefer one approach or text over the other; this listener comes away highly satisfied by both and would be unhappy if forced to only have one on the library shelves. 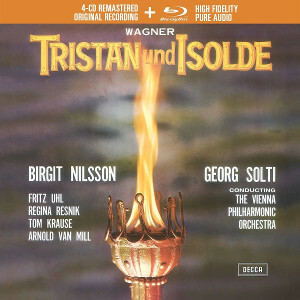 On purely technical terms, the recording for Solti is obviously older than for Janowski; not just in range or depth of timbre relayed, there is occasional audible deterioration of the master tapes around some congested passages (which also afflicts other Blu-ray releases like Donizetti: L'elisir d'amore - Bonynge). With such magnetic, compelling performances though, the ear quickly notes these issues before putting then to one side and enjoying the music making on offer. In the grander scheme of things should not dissuade someone from investing their time and money in this set. 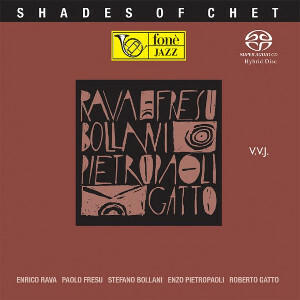 In common with most recordings of that era, this was made in the studio and the sometimes unnaturally favourable balances of voices to orchestra have not been altered in this release, so any hint of strain captured by PentaTone from a live performance should be considered in this context. 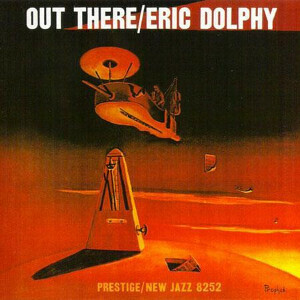 Another welcome aspect to this release is that, compared to previous CD incarnations, any hint of tape hiss is now completely eradicated with no sense of compromising on the rest of the audible sound. The congestion heard at musical climaxes here is not an issue for Janowski&apos;s PentaTone team. 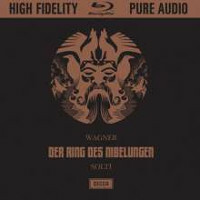 This is without doubt one of the finest presentations of Wagner and these musicians on hi-res media to date despite the audible deterioration that has occurred in the nearly 40 years since this was initially taped. Talking about Solti on HR...why his Stereo Sound Japan Single Layer SACD Ring release isn&apos;t listed here...it dwarfs by light years any western equivalent! Because I can&apos;t find the barcode/JAN to list it. If you can email them to me, will happily add it. On the basis of a few Stereo Sound items I have bought I don&apos;t doubt that these are far superior. However, at 18000 yen a box plus import charges they&apos;re out of my league! Sadly for anyone contemplating the purchase I see from the Stereo Sound site that the Rheingold box (the first issued) is already sold out and they say they will not reprint. Perhaps, though, a moment to say to anyone that if you REALLY love any of the recordings these guys have remastered the high price is justified in terms of the result, e.g. 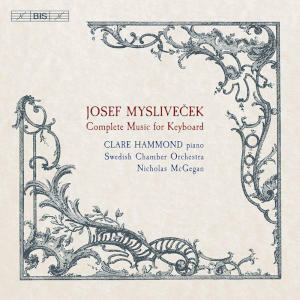 their Dvorak 9 Kertesz disc leaves the Esoteric for dust. The Decca&apos;s were all specially remastered for them by Classic Sound using a refurbished original period Decca tape machine, so that, and judicious master tape choice, may explain the quality. 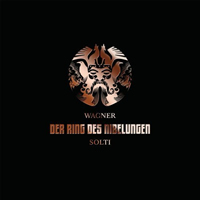 For the Ring Cycle, you can get Wagner: Der Ring des Nibelungen - Solti and literally get the master files Esoteric used as the basis for their release for a fraction of the cost. If Esoteric makes people happy then awesome, but by all reasonable standards the BD-Audio releases get us as close to the master tape as possible. Any comments about the surround mix on this release? The master source currently used by Decca for Solti&apos;s Ring transfer is the digital master tape, commonly known as "James Lock Remaster", which was made by Decca mastering engineer James Lock who had assisted John Culshaw on the original Ring sessions. 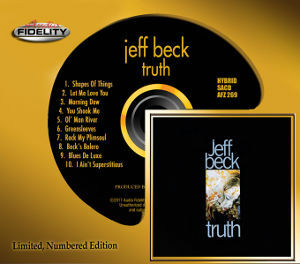 Therefore, our SACD is the first and only transfer in the world, digitized from the precious master source that had been stored before remastering was applied." I have to say this all sounds mouth-wateringly exciting and I only wish I were more wealthy . . .
My advice to anyone who has one or more of these and is saving up is to get a bank loan quickly before the rest disappear. Or will Universal Japan surprise us in a year or two; it is their tape after all! "James Lock" GTD is quite unlistenable...harsh and metallic, and with loss of "information (just listen to the very end, where the woodwinds disappear when the Walhall theme enters, whereas they are clearly heard at the 1st CD Edition)"
John,would you be so kind as to provide your e-mail?